Findlay is part of the Ohio Department of Transportation’s District 1. The district has been hard at work on a $114 million reconstruction and widening project of I-75 through Findlay. 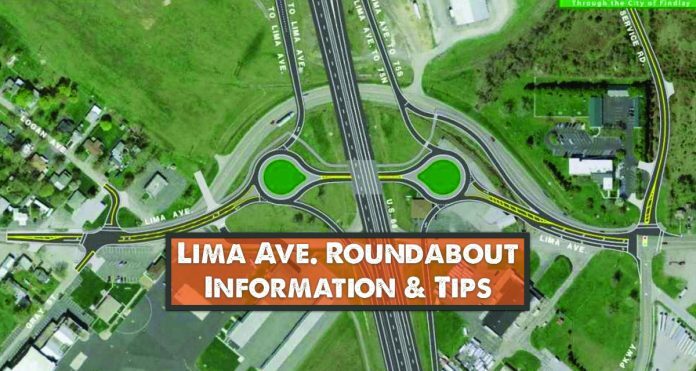 Part of that project includes a total overhaul of the 1950s-era interchange between I-75, US-68, OH-15, and Lima Avenue. Social Findlay spoke with ODOT District 1’s acting deputy director, Chris Hughes, to learn more about the ‘dogbone’ double roundabout. As long as weather cooperates, the roundabout is expected to open in late 2019. Whenever you see workers present anywhere along roadways, remember to give them plenty of space. You can learn more about the I-75 widening project in Hancock County here.